A passenger on a Southwest Airlines flight threatened to kill the flight's passengers and crew on Saturday. The passenger had disabled a bathroom smoke detector and was caught smoking a cigarette by a flight attendant, the airline told Business Insider. The passenger was arrested on a felony charge and sent to jail on a $75,000 bail. 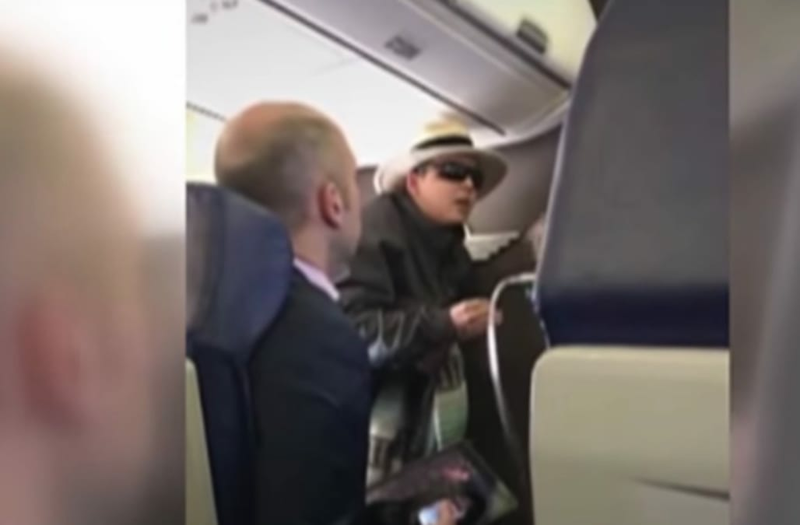 KOIN 6 reports that the passenger, Valerie Curbelo, disabled the smoke detector in one of the plane's bathrooms before smoking a cigarette. After a flight attendant discovered what Curbelo had done, she entered the bathroom and attempted to return Curbelo to her seat. Curbelo then became agitated and confronted the flight attendant. "I have a destination for myself, and I need to go there," Curbelo says in a video taken by another passenger. "I swear, if you don't...land, I will f------ kill everybody on this f------ plane!" Curbelo was restrained by passengers and crew for 30 minutes until the flight landed, at which point she was arrested on a felony charge and sent to jail on a $75,000 bail, according to the Washington Post. "The safety of our crew and passengers is our top priority, and we take all safety violations seriously," Southwest Airlines said in a statement to Business Insider.